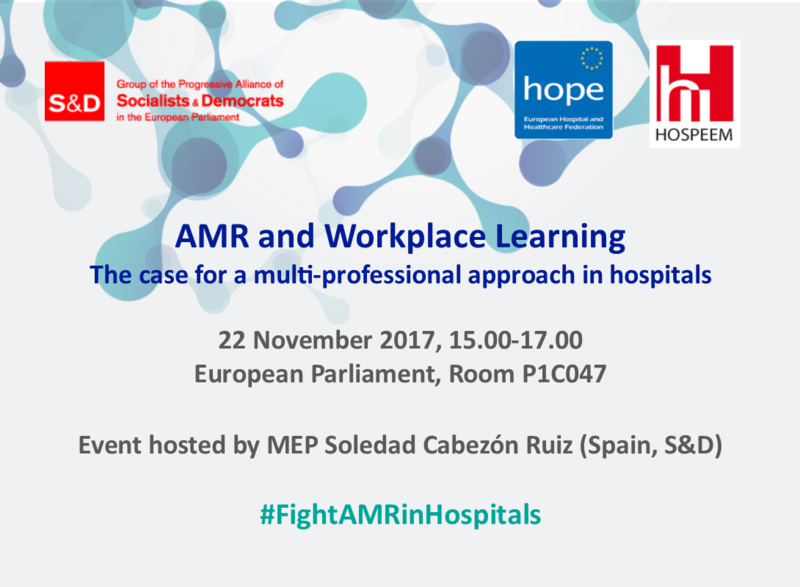 On 22 November 2017, the European Hospital and Healthcare Federation (HOPE) and the European Hospital and Healthcare Employers’ Association (HOSPEEM) organised a workshop “AMR and workplace learning-The case for a multi-professional approach in hospitals” hosted by MEP Soledad Cabezón Ruiz (Spain, S&D) at the European Parliament in Brussels. 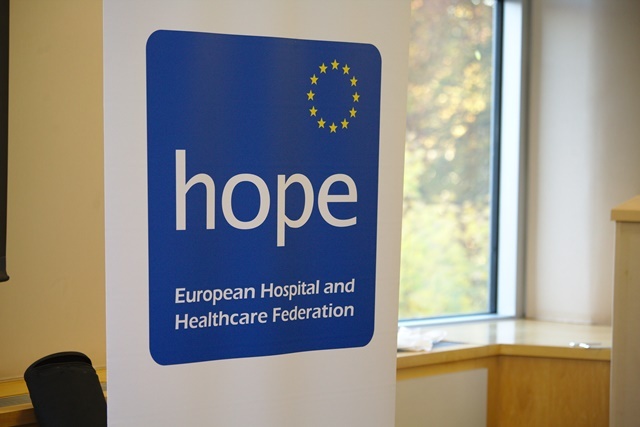 This HOSPEEM-HOPE Joint Workshop was connected to the 2017 European Antibiotic Awareness Day (EAAD) and the launch of the new EAAD Toolkit for Hospital Staff. 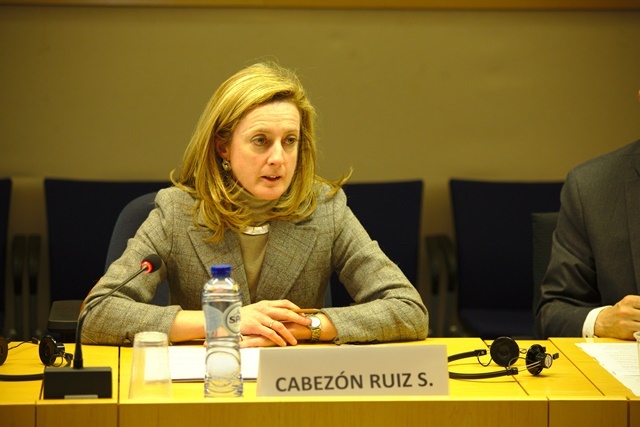 Member of the European Parliament (MEP) Soledad Cabezón Ruiz (S&D, Spain) opened the workshop by reminding some alarming figures published by the European Centre for Disease Prevention and Control (ECDC): the cost of Antimicrobial Resistance (AMR) in the EU represents 25 000 deaths and 1,5 Billion Euro annually. She expressed the need for a comprehensive approach involving the different sectors, such as healthcare, biosafety, environment etc. 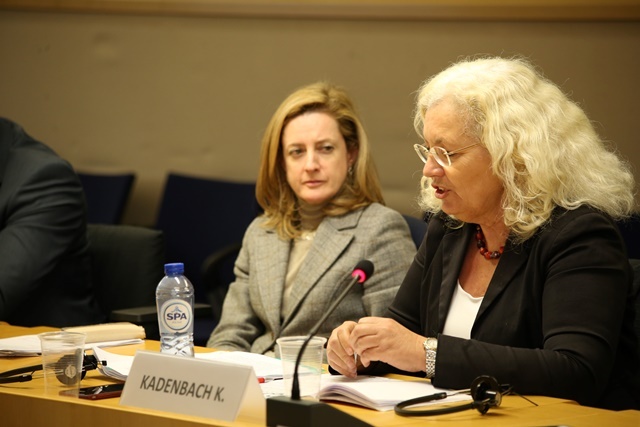 She also stressed out that the European Action Plan should focus on research (new antibiotics, health devices) but also on monitoring the prescription and use of antibiotics, thanks to a large data base. 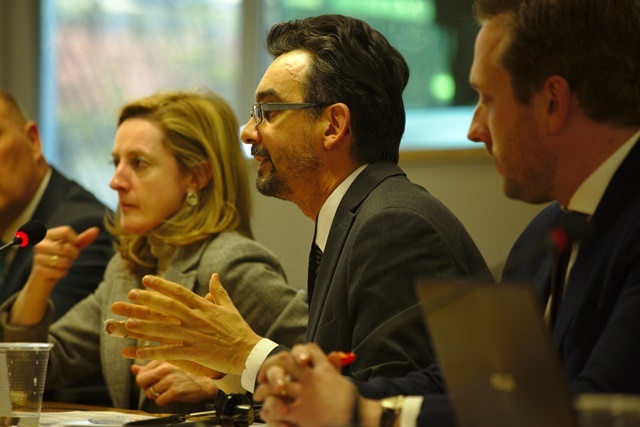 National Action Plans, coordinated and financially supported by the EU should allow to identify the best practices and the best performing countries. 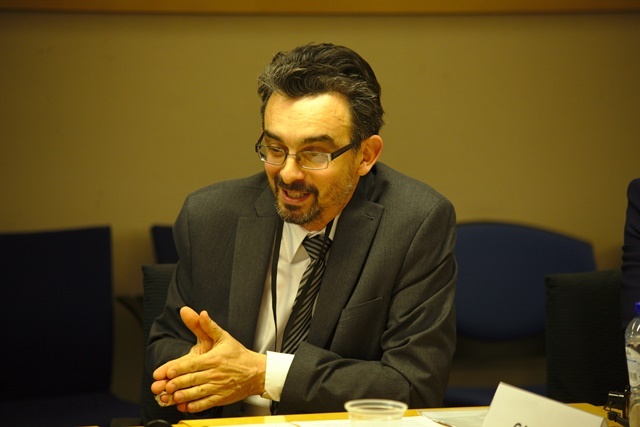 Pascal Garel, HOPE Chief Executive, emphasized the importance of inter-professional cooperation in combatting AMR “the issue of AMR is complex and multifaceted with differences between countries and even differences between regions of the same country (…) today we are looking at the topic from the angle of Continuing Professional Development and the role of health professionals”. 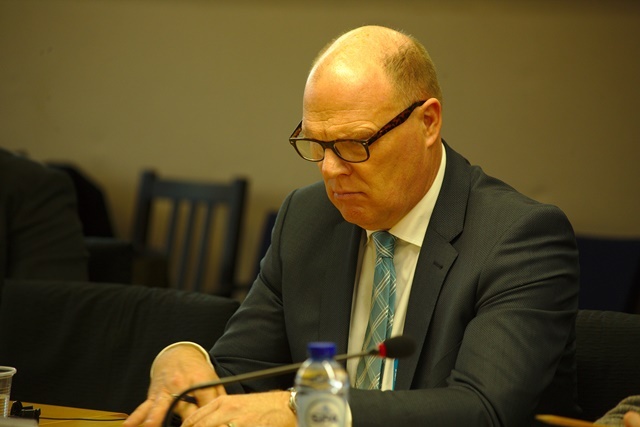 Workshop moderator Jesper Rijpma, Senior advisor public affairs at Dutch Hospital Association (NVZ), defined the AMR phenomenon as a threat for society in the form of a “tsunami in slow motion”. 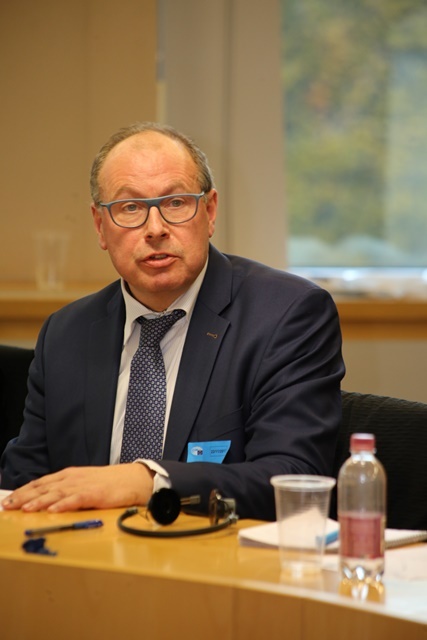 The Head of the Disease Programmes on AMR and Health-Associated Infections (HAI) at ECDC, Dominique Monnet, focused on the importance of raising awareness about the prevention and control of AMR in healthcare. 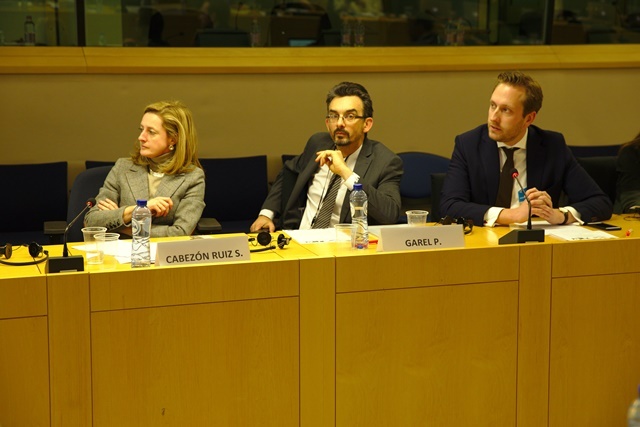 Firstly, he listed the three-existing surveillance network at EU-level (EARS-Net, ESAC-Net, HAI-Net) and the guidelines exchange platform EPIS. 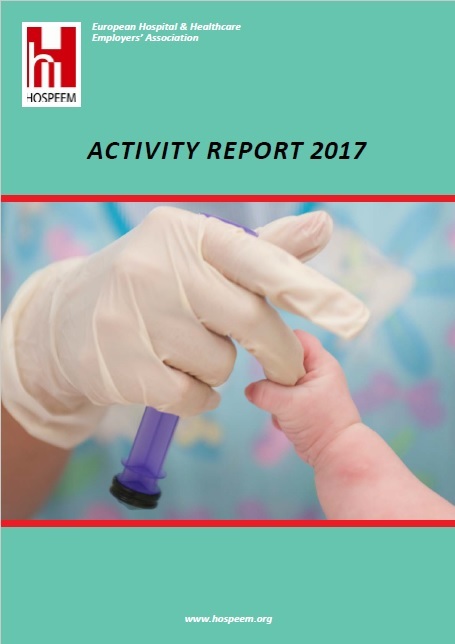 In some countries like Germany, Portugal, the Netherlands, Greece or Belgium, AMR is decreasing due to national actions such as the introduction of new antimicrobial agents in the healthcare sector, the prudent use of antimicrobial agents as well as the prevention and control of infections in hospital and healthcare facilities. He also brought the attention of the audience to the new EAAD Toolkit for Hospital Staff recently published. 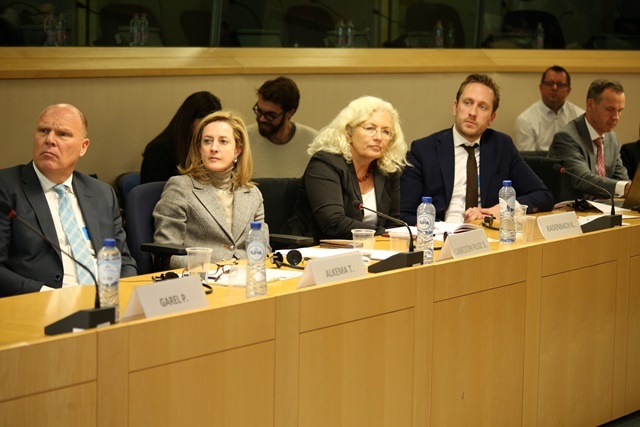 The Member of the AMR Task Force of the European Commission, Angela Bolufer de Gea, presented the European One Health Action Plan on AMR 2011-2016, reminding that “Progress on AMR is possible but slow’’. 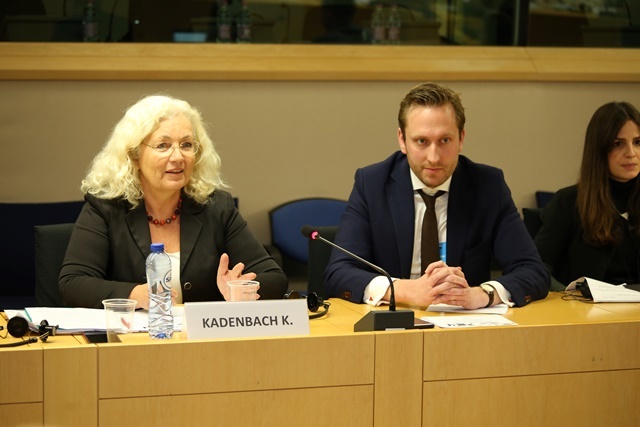 She emphasized making the EU a best practice region on AMR requires persistence, innovation and stronger partnerships. 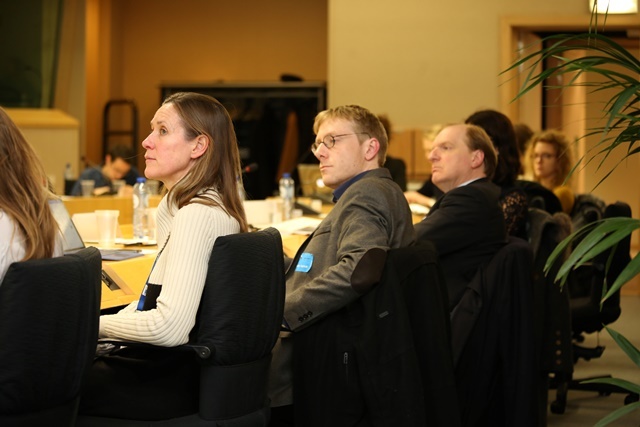 To further develop the existing initiatives such as the Guidelines for the prudent use of antimicrobials in human health or the European Antibiotic Awareness Day, the EC supports research and development of new business models in antibiotic research (DRIVE-AB) and jointly funded research with the pharmaceutical industry (IMI). The CEO of the Platform for Continuous Improvement of Quality of Care and Patient Safety (PAQS) in Belgium, Denis Herbaux, presented a specific example of collaboration on the prevention of Health-associated Infections (HAI) carried out by twenty hospitals working together in Belgium. This collaborative project aims at preventing adverse events such as the outbreak of AMR for example. The Plan-Do-Study-Act (PDSA) methodology consists of regular meetings of a multidisciplinary team which will work out solutions together and bring it back to its own hospital. 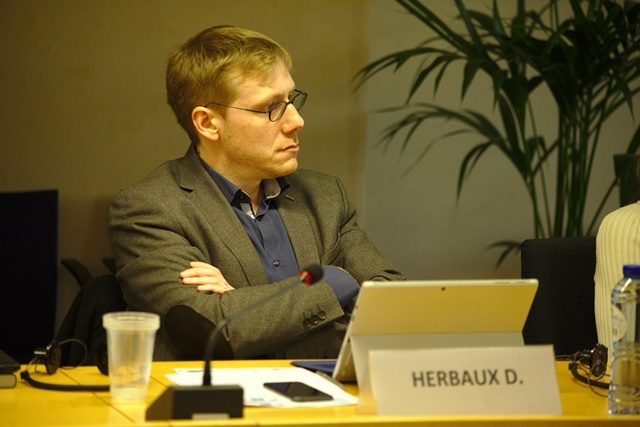 According to Denis Herbaux, the collaborative step-by-step approach allows the effective implementation of best practices at the system level. 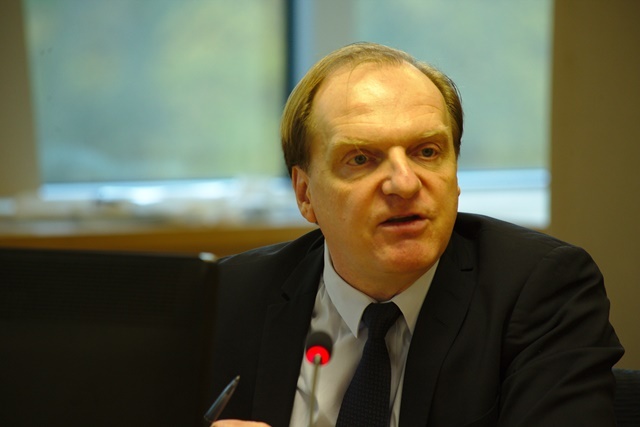 The Senior Advisor on National Safety and Security from the National Institute for Public Health and Environment Centre for Safety and Security in the Netherlands, Marcel Mennen, presented the Dutch One Health strategy to restrain the threat of AMR. This strategy consists of a thorough assessment and monitoring of national risk as well as concrete actions such as a multi-professional model for prevention and outbreak control of AMR (A-Team). In the Netherlands, the “A-Teams” advise colleagues on infection prevention and proper use of antibiotics, including infectious disease professionals, epidemiologists, hospital pharmacists and physicians. 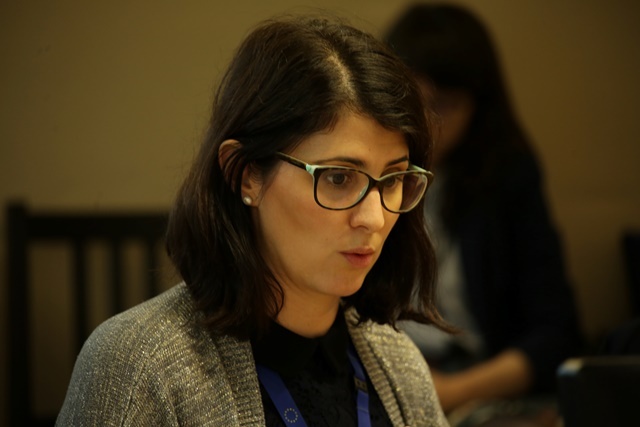 After the presentations, the participants could discuss several issues with the panellists, such as the need of awareness programs for medical students in the medical profession, the research and production of new antibiotics or the challenge of merging and connecting hospital data to inform AMR experts. 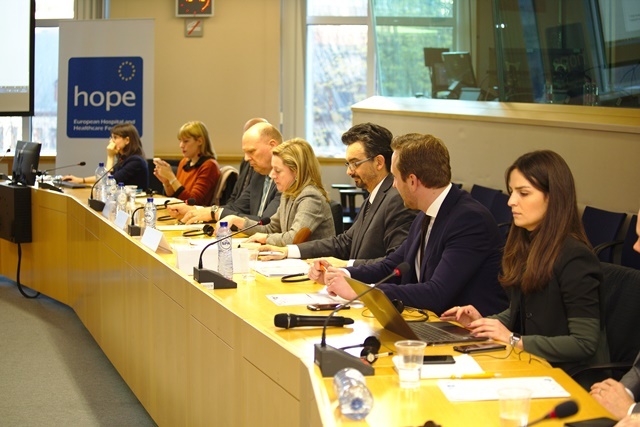 Participants and speakers debated the need for new business models to create new antibiotics and the need for exploration of cost-effectiveness in this field. 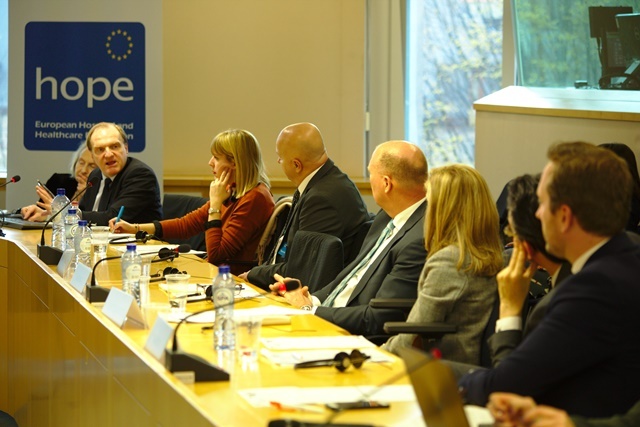 They also discussed the ways on how to enhance the level of awareness, where both macro level (national action plans) and micro level (multidisciplinary approaches such as the A-teams in the Dutch hospitals or collaborative improvement initiatives in Belgian hospitals) have shown to be effective. 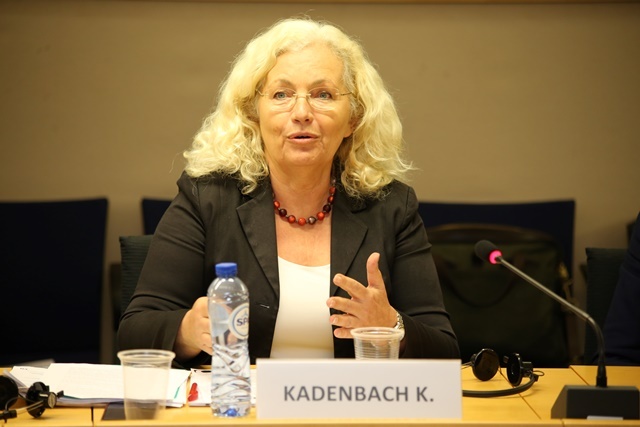 Member of the European Parliament (MEP) Karin Kadenbach (S&D, Austria) pointed out that expertise and knowledge about AMR is not always shared, especially monitored data on vaccination across the EU or HAI. Stricter rules should be defined regarding the access to antibiotics without prescription and more money should be invested in research and quality monitoring to ensure reliable and up-to-date data. As an incentive, the cost of non-action (compared to concrete action) should be presented to the different stakeholders at national level. 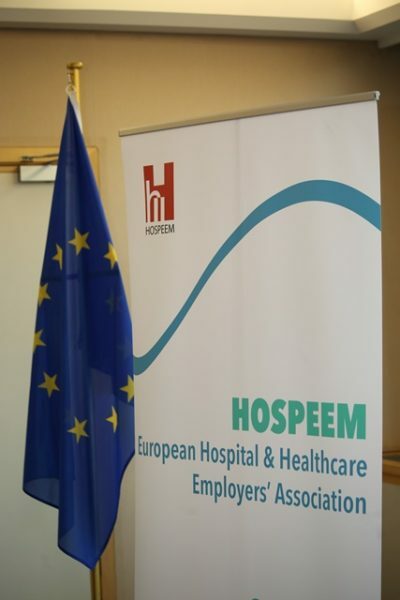 Secretary General of the European Hospital & Healthcare Employers’ Association (HOSPEEM), Tjitte Alkema, closed this workshop addressing the importance of continuing professional development (CPD) for the correct understanding and use of antibiotics by hospital staff and patients and the prevention of infections. He reminded that “there are no simple solutions to complex problems and that (…) learning is a process, not an event (…) Some of the challenges ahead of us that have been underlined today are the issue of professional silos, underreporting, lack of surveillance and staffing challenges (…)” and regarding the issues raised during the workshop, “Prevention and CPD are potential solutions because they allow the involvement of hospital management grass-root staff and they foster new insights and creative solutions through a multi-disciplinary approach”. He called for an overarching PPP-approach. PPP in this case would stand for Public Practice Partnership involving competent authorities, professional organisations, and hospital management. HOSPEEM-HOPE joint Workshop on Antimicrobial Resistance and Continuing Professional Development: “AMR and workplace learning-The case for a multi-professional approach in hospitals"
This Workshop addressed the importance of continuing professional development for the correct understanding and use of antibiotics by hospital staff and patients and the prevention of infections. Good practice examples to train staff in combatting Antimicrobial Resistance (AMR) in the hospital sector were presented to foster the discussion. The event also provided the opportunity to emphasize the importance of inter-professional cooperation in combatting AMR. 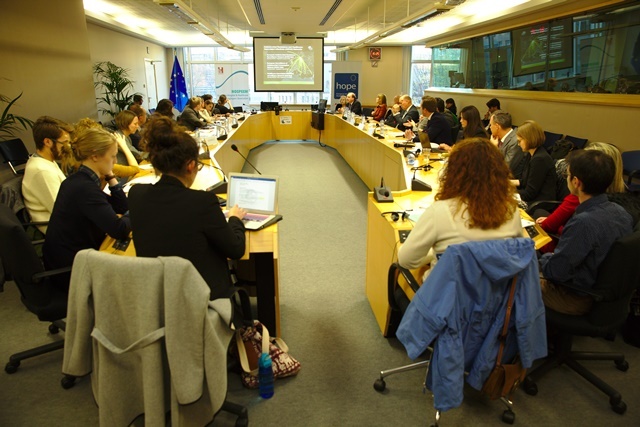 The date chosen for the Workshop allowed to connect the event to the activities planned for the 2017 European Antibiotic Awareness Day (EAAD) and the launch of the new EAAD Toolkit for Hospital Staff. 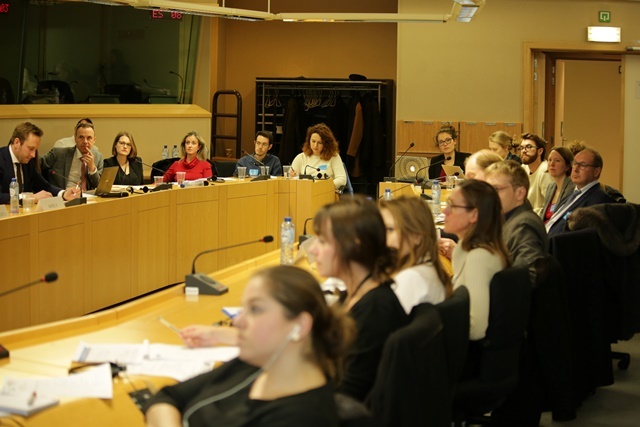 The workshop was hosted by MEP Soledad Cabezón Ruiz (Spain, S&D) and took place at the European Parliament, from 15.00 to 17.00 in Room P1C047. Bacteria found in humans, animals and food continue to show resistance to widely used antimicrobials, according to this report on antimicrobial resistance (AMR) in bacteria published by the European Food Safety Authority (EFSA) and the European Centre for Disease Prevention and Control (ECDC). 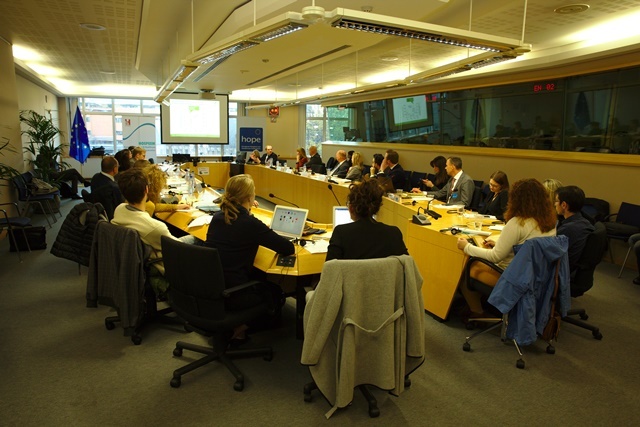 The data on antimicrobial resistance in zoonotic and indicator bacteria in 2015, submitted by 28 EU Member States (MSs), were jointly analysed by EFSA and ECDC. Resistance in zoonotic Salmonella and Campylobacter from humans, animals and food, and resistance in indicator Escherichia coli as well as meticillin-resistant Staphylococcus aureus in animals and food were addressed. ‘Microbiological’ resistance was assessed using epidemiological cut-off (ECOFF) values; for some countries, qualitative data on human isolates were interpreted in a way which corresponds closely to the ECOFF-defined ‘microbiological’ resistance. In Salmonella from humans, high proportions of isolates were resistant to ampicillin, sulfonamides and tetracyclines, whereas resistance to third-generation cephalosporins was low. In Salmonella and Escherichia coli isolates from fattening pigs and calves under one year of age, resistance to ampicillin, tetracyclines and sulfonamides was frequently detected, whereas resistance to third-generation cephalosporins was uncommon. For the first time, presumptive extended-spectrum beta-lactamase (ESBL)-/AmpC-/carbapenemase-production in Salmonella and Escherichia coli was monitored in humans (Salmonella), meat (pork and beef), fattening pigs and calves. Varying occurrence/prevalence rates of ESBL-/AmpC-producers were observed between countries, and carbapenemase-producing Escherichia coli were detected in single samples of pig meat and from fattening pigs from two MSs. Resistance to colistin was observed at low levels in Salmonella and Escherichia coli from fattening pigs and calves under one year of age and meat thereof. In Campylobacter from humans, high to extremely high proportions of isolates were resistant to ciprofloxacin and tetracyclines, particularly in C. coli. In a few countries, a third to half of C. coli in humans were resistant also to erythromycin, leaving few options for treatment of severe Campylobacter infections. High resistance to ciprofloxacin and tetracyclines was observed in C. coli isolates from fattening pigs, whereas much lower levels were recorded for erythromycin. Co-resistance to critically important antimicrobials in both human and animal isolates was generally uncommon.